Ninety-four percent of higher education institutions in a recent survey said they use Apple's iPad to enhance learning, while 80 percent use Mac devices. And 87 percent have seen a large increase in both Mac and iPad adoption over the last year. Those findings and more came out of a JAMF Software report on Apple device adoption in higher education. "2016 Survey: Managing Apple Devices in Higher Education" is based on responses from 300 IT professionals, managers and instructional technologists from higher education institutions around the world. According to the survey, the top drivers of Apple device use in higher ed include user preference (cited by 64 percent of respondents), better security (51 percent), less maintenance (45 percent) and Apple's app ecosystem (40 percent). IT pros told a similar story last year: JAMF's 2015 survey cited "Apple's rich app ecosystem, overall appeal and user preference, native security features, and the reduction of overall costs associated with device maintenance" as the secrets behind its success in higher ed. 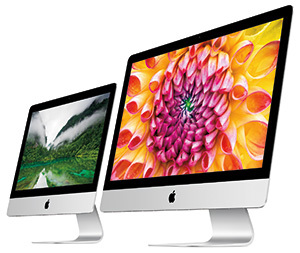 61 percent said it's easier to support a Mac than a PC. The full report is available for download on the JAMF Software site.